When it comes to the beneficial compounds found in fruits and vegetables, one particular health-promoting compound to take note of is sulforaphane, a phytochemical obtained from cruciferous vegetables. We say “obtained” because sulforaphane doesn’t naturally exist in these plants. Sulforaphane only occurs when two substances — the glucosinolate glucoraphanin and enzyme myrosinase — mix and react in cruciferous vegetables that have been damaged. This quirky little compound has more going for it than an intricate creation process, however. Sulforaphane supports heart health – Numerous studies of mice have found sulforaphane to be a decent supporter of heart health. Many of these studies reported that diets rich in cruciferous vegetables support the heart. Sulforaphane supports skin health – In another study, sulforaphane-rich, three-day-old broccoli sprout extract was shown to maintain healthy skin in both mice and humans. 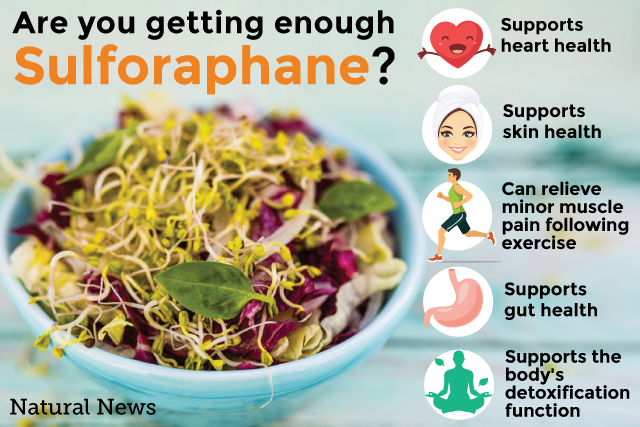 Sulforaphane can help relieve minor pain associated with muscle pain following exercise – People who make it a point to exercise regularly should consider adding sulforaphane-dense foods to their daily diets. According to a 2009 study, this compound can relieve minor pain linked to muscle soreness after a bout of exhaustive exercise. Sulforaphane supports gut health – Frequent consumption of vegetables that are abundant in sulforaphane help maintain a healthful digestive system. Sulforaphane supports the body’s detoxification function – Though not an antioxidant in itself, SelfHacked.com has called sulforaphane an “indirect antioxidant” due to its ability to support the body’s natural detoxification processes. 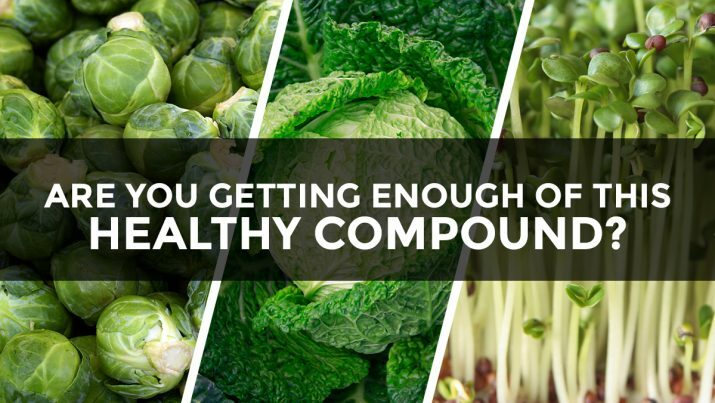 Luckily, this is one compound that’s quite easy to come by thanks to the variety of cruciferous vegetables. Cabbage – Savoy and red cabbage are known to be particularly high in the sulforaphane-precursor glucoraphanins. According to Livestrong.com, a half cup of chopped Savoy cabbage can deliver 35 mg of glucoraphanin, while a similarly-sized amount of chopped red cabbage provides a little over 29 mg of this glucosinolate. Brussels sprouts – A half-cup serving can provide an impressive 104 mg of glucoraphanin. However, boiling brussels sprouts — or any other cruciferous vegetable for that matter — for at least nine minutes can cut the glucoraphanin content down by 18 percent. Cooking methods that make minimal use of water are a good way to get around this problem. Broccoli sprouts – Although mature broccoli can offer a fair amount of glucoraphanins, they can’t beat their tinier cousins. Broccoli sprouts are perhaps the best and richest source of glucoraphanins available. By weight, three-day-old broccoli sprouts can deliver 10 to 100 times more glucoraphanin than mature broccoli. The nutritional value of broccoli sprouts is such that just one ounce can provide 73 mg of glucoraphanin. To make the dressing, combine blackberry preserves, grapefruit juice, olive oil, and flaxseed oil in a small bowl. Mix until well-blended. Season with salt and pepper. In another bowl, combine broccoli sprouts, papaya, arugula, and almonds, then toss together with the dressing. Separate the salad into four servings then top with blackberries. If the idea of making a fresh salad daily seems like too much of a hassle for you, then you’re in luck. The Health Ranger Store is proud to offer an easier way for you to add sulforaphane and broccoli sprouts to your food intake. Whether you opt for the Health Ranger Select Organic Broccoli Sprout Powder or Health Ranger Select Organic Broccoli Sprout Capsules, you’ll be getting this beneficial compound and much more. Not only do these non-GMO, kosher products serve as a dependable sulforaphane source, they also contain bioavailable calcium and magnesium. Broccoli sprout benefits are plentiful, and we’d be more than happy to help you enjoy them.